Guiding (Re)Connecting Youth is a Global Advisory Committee (GAC) of practitioners, policymakers, funders, and researchers in the U.S. and other countries who have worked on the issue of youth reconnection. The GAC informs and affirms (Re)Connecting Youth’s priorities, helps disseminate information and findings, and catalyzes action to bring international lessons to bear on youth reconnection efforts in the United States. 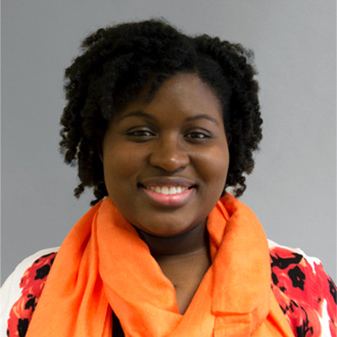 Lashon serves as the National Coordinator for Community Action Teams for Opportunity Youth United (OYU). In this role, he works to build the OYU movement of young people, organizations, and community leaders across the U.S. who are committed to creating pathways for youth reconnection, civic engagement, and mobilization. 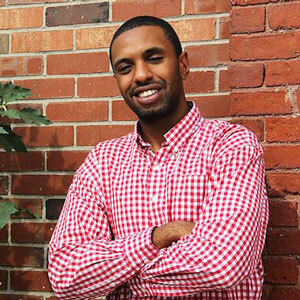 A former opportunity youth and YouthBuild participant, he earned a bachelor’s degree in criminal justice from the University of Massachusetts-Boston and is currently pursuing a Master of Science in nonprofit management at Northeastern University. Andrea is a policy analyst with the Center for Law and Social Policy (CLASP), with a focus on building systems and pathways to education and employment for opportunity youth and youth of color. Prior to joining CLASP, Andrea worked as a social worker for the District of Columbia, providing case management to youth in the juvenile justice system. Previously, she advocated for strengths-based and culturally competent policy with the National Federation of Families for Children’s Mental Health. She holds a Bachelor of Science from Brown University and a Master of Social Work degree from Howard University. David directs the Ford Foundation’s Youth Opportunity and Learning program. He leads its efforts to strengthen outcomes and opportunities for young people and help them realize their potential to be forces for positive social change. Prior to joining Ford, David had a distinguished 20-year career at the United States Agency for International Development (USAID), serving in missions around the world, and at the Washington, D.C., headquarters. 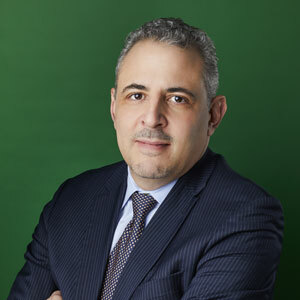 David earned a bachelor’s degree in international relations and political science from Boston University and a Juris Doctor from the National Law Center at George Washington University. Jacqueline is a Founding Director of RISE (St. Lucia) Inc., an NGO in the island nation dedicated to healthy youth development. She now serves as Director for the National Child & Adolescent Health Service, after 16 years as pediatrician in charge of St. Lucia’s Community Child Health Service. She is a graduate of the University of the West Indies School of Medicine with a Doctorate in Pediatrics. Rui serves as the Director of Latin America and Caribbean programs at the W.K. Kellogg Foundation, based in the foundation’s Mexico City office. Over the past 10 years, Rui has held several positions at the Kellogg Foundation. Born in Brazil, Rui previously worked as an academic researcher and consultant in many countries and with a number of international and non-governmental organizations. Rui holds a master’s degree in development studies from the Institute of Social Studies at The Hague, Netherlands, and a bachelor’s degree in administration from Pernambuco State University at Recife, Brazil, and she is currently pursuing a Ph.D. from Fundação Getúlio Vargas in São Paulo. Patrice is Director of Strategic Initiatives for the Center for Economic Opportunity at The Annie Casey Foundation, focusing on efforts to help youth and adults connect to the workforce through education, job-training, and job-creation strategies. Prior to Casey, Patrice was the Associate Director of the Open Society Institute–Baltimore, a field office of the Open Society Foundations. Before her work in philanthropy, she spent 10 years creating and running three major economic development organizations in Baltimore. Patrice is a graduate of Princeton University and the Yale School of Management. Wendy is the World Bank’s Lead Economist for Social Protection and Labor in East Asia and the Pacific. Previously, she oversaw the World Bank’s education, child development, health, social protection, social assistance, and labor market programs with the governments of Colombia and Mexico. 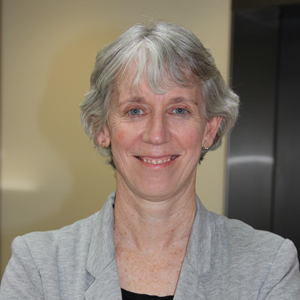 Wendy has served as the Coordinator of the World Bank’s Child and Youth Development Unit, where she led the Bank’s efforts to provide evidence-based program and policy advice on a range of child and youth-related issues in developing countries. 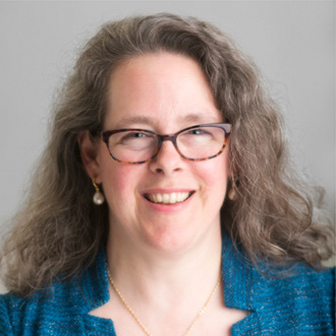 Wendy received a Ph.D. in labor economics from the University of Illinois at Champaign and has authored or co-authored multiple publications around topics in international youth development. Thaddeus is Vice President at the Forum for Youth Investment, where he promotes bi-partisan, evidence-based policies that help all communities become great places to grow up. In partnership with the Aspen Forum for Community Solutions and Gap Inc., Thaddeus launched the Opportunity Youth Network, bringing together leading corporations, foundations, nonprofits, and youth to reconnect young people who are not in school and not employed. He also started the Youth Policy Action Center website, which merged with two others to form SparkAction.org. Thaddeus holds a Bachelor of Arts in youth development and policy from Stanford University. Shawnice is a youth advocate and former opportunity youth committed to building better and stronger pathways to opportunity for underserved and marginalized youth. As a founding member of the National Council of Young Leaders, Shawnice works to advise funders and policymakers on the needs of opportunity youth across the United States. She also bolsters the larger opportunity youth movement through her consultancy work and as an advisory board member with the Opportunity Youth Network, a leadership council member with the Opportunity Youth Incentive Fund, and opportunity leader with Opportunity Nation. 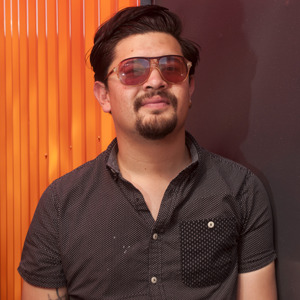 Daniel is a young social entrepreneur from Ciudad Juárez, Mexico and co-founder of youth-led social initiatives such as the Youth Network of Juarez and Superarte A .C. His work focuses on promoting social cohesion and integration among youth through the arts, culture, and sports. He was also involved in IYF’s Youth:Work Mexico initiative in Ciudad Juárez , where he participated as a peer mentor for vulnerable opportunity youth. Currently, he is the owner and director of La City Ride, which promotes cycling in the U.S.-Mexico border area by organizing bike rides where participants learn about social issues. He has received recognition at the municipal and state levels for his social entrepreneurship work. Monique is an author, educator, and social justice scholar with more than twenty years of experience in the areas of social and economic justice, juvenile justice, and education. 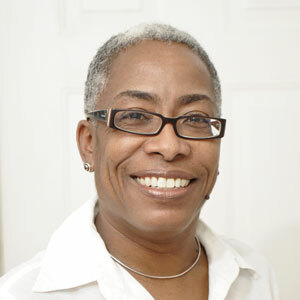 She is the founder and president of the National Black Women’s Justice Institute (NBWJI), an organization that conducts research, provides technical assistance, engages in public education, and promotes civic and policy engagement to reduce racial and gender disparities in the justice system affecting black women, girls, and their families. Monique is also an adjunct associate professor for Saint Mary ’s College of California. She is the author of several books, including Pushout: The Criminalization of Black Girls in Schools; Black Stats: African Americans by the Numbers in the Twenty-First Century, and Too Beautiful for Words: A Novel. Tony Pipa is a senior fellow in Global Economy and Development at the Brookings Institution. In this role, he studies efforts to realize the Sustainable Development Goals (SDGs) and explores how successful approaches to accelerate development globally might be applied to development challenges in the United States. He is the former Chief Strategy Officer at USAID and was U.S. Special Coordinator for the Post-2015 Agenda at the U.S. Department of State, where he led the U.S. delegation at the United Nations to negotiate and adopt the SDGs. Tony has more than 25 years of leadership experience in the philanthropic and public sectors addressing poverty in the United States and globally. He has served as director of the NGO Leaders Forum at Harvard Kennedy School and founding CEO of the Warner Foundation, and he helped launch Foundation for Louisiana in the aftermath of hurricane Katrina. He attended Stanford University, graduated from Duke University, and earned a Master of Public Administration at the Harvard Kennedy School. Luke is Founder and Director of Foster Focus, a UK-based social enterprise that provides children’s organizations with youth participation strategies designed to improve services and the life chances of children in foster care and care leavers. 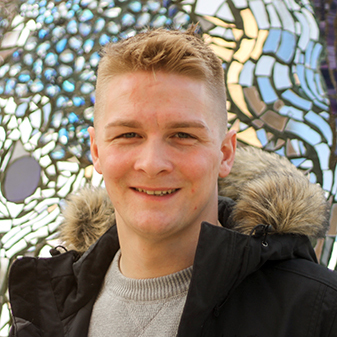 After spending his childhood moving from foster home to foster home, Luke is now a multiple award winner for his work as a social entrepreneur. He is a 2015 YouthActionNet® Laureate Global Fellow. Ernesto is Director of El Centro Latinoamericano sobre Juventud (CELAJU), an international NGO based in Uruguay, that provides technical assistance to governments and non-governmental organizations that work with youth. A sociologist, researcher, and teacher, he has authored numerous publications. Currently, he serves as a consultant and advisor to the United Nations, the Inter-American Development Bank, the World Bank, the European Union, and the Ibero-American Youth Organization in the areas of youth public policy, violence prevention, and social development. 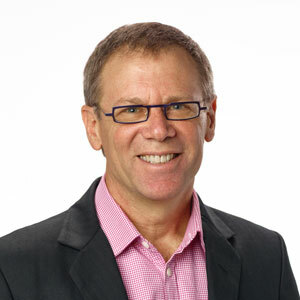 Michael is a family therapist and the Izaak Walton Killam Professor of Social Work at Dalhousie University in Canada, where he founded and now co-directs the Resilience Research Centre, which coordinates more $5 million in funded research in over a dozen countries. He has designed multi-site longitudinal research and evaluation projects in collaboration with organizations such as the World Bank, The Red Cross, and national public health agencies that focused on resilience among children, youth, and families and how they survive adversity together in culturally diverse ways. Michael has published more than 135 peer-reviewed articles and book chapters, and he is the author of 14 books for mental health professionals, researchers, and parents. Elicia is the Programs and Operations Director for the National Fund for Workforce Solutions. She focuses on the Fund’s Young Adult Initiatives, which seek to understand how industry partnerships can help connect young adults to skills and employment. Elicia has served as a research assistant and law clerk for Kids in Need of Defense (KIND), and worked for several public and private law offices. She received her bachelor’s degree from Bryant University and holds a Juris Doctor from Suffolk University Law School. 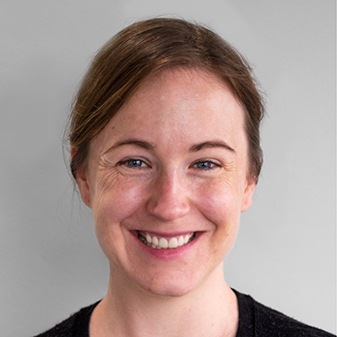 Alyson Wise is an Associate Director at the Rockefeller Foundation, working to advance the organization’s inclusive economies goal. She brings a decade of experience working in the philanthropic and nonprofit sector to advance economic opportunities for people in the United States and abroad. Alyson holds a Masters of Public Administration from New York University’s Wagner School of Public Service, where she attended as a Lisa Goldberg Fellow in Philanthropy and Public Service. After extensive consultant experience with IYF dating back to 1992, Angie joined the organization full-time in 2010. In her role as Regional Director, Angie oversees and supports the implementation of (Re)Connecting Youth. 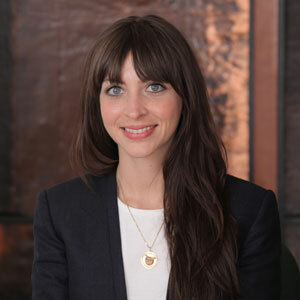 Her prior work includes providing international development clients with consulting services in corporate social responsibility (CSR) and nonprofit management. From 1996 to 1999, she directed a program at Fundacion Esquel, an IYF partner organization in Ecuador, promoting CSR awareness and practice. 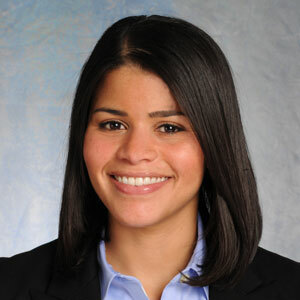 Angie started her career at JP Morgan, working in their offices in New York and Madrid. She holds a Bachelor of Science in business administration from Georgetown University and a master’s in public administration from Princeton University’s Woodrow Wilson School of Public and International Affairs. Angie is fluent in Spanish and Portuguese. As Program Manager for (Re)Connecting Youth, Shannon leads the program team in the initiative’s implementation. She has more than a decade of diverse experience working to advance equity and social change in the United States and internationally. Most recently, she managed workforce development initiatives for youth, dislocated workers, and adults in Anne Arundel County, Maryland. In her prior experience with Campaign Consultation, Inc., she developed communications and training solutions for clients such as the U.S. Department of Health and Human Services, Offices of Minority Health. A graduate of the University of New Hampshire with a bachelor’s degree in history and international affairs, Shannon has a graduate certificate in non-profit management and leadership from the University of Missouri. Andrea joined IYF in 2012 as Office Manager for the Youth:Work Mexico initiative, under USAID’s crime and violence prevention efforts. Prior to joining IYF, she worked for several years with private sector organizations in business and industrial marketing. In her current role as Program Officer, she has collaborated with partner NGOs providing them training and technical support in areas such as capacity building, monitoring and evaluation, and program management, with a focus on second-chance initiatives for youth at risk. Andrea supports the (Re)Connecting youth initiative through research, technical support and global stakeholder engagement. She earned a Bachelor of Arts in marketing from the Monterrey Institute of Technology and Higher Education (ITESM) in Mexico and a master’s in humanistic studies, with a concentration in ethics, from the same institution. Andrea brings to IYF over 10 years of volunteering with vulnerable youth and seniors, and she speaks fluent Spanish and English. Sheila has performed various communications roles at IYF dating back to 1992 and now serves as Storytelling Consultant. A writer and filmmaker, Sheila works with nonprofit, corporate, and public sector clients to tell the human story driving their social change work. Through articles, blog posts, publications, videos, and films, she chronicles the lives of people whose perseverance and hope eclipse the barriers they see around them. 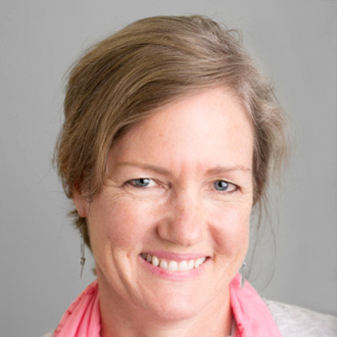 Sheila is co-author of IYF’s Our Time is Now: Young People Changing the World, a book profiling 30 young heroes in 20 countries, and co-producer of Cafeteria Man, an award-winning documentary film chronicling Baltimore's school food reform efforts. She holds a Bachelor of Arts from Duke University and a Master of Science from the Columbia School of Journalism. Having joined IYF in 2016 as a Program Coordinator for Eurasia and US programs, Geena provides technical, administrative and logistical support to the project team and partners of (Re)Connecting Youth. Her prior experience includes several years of experience working directly with youth in academic enrichment and engagement programs. Most recently, Geena served as the Children and Youth Program Coordinator for the Hampden Family Center in Baltimore. She has lived and worked in Beijing, China. There she advised on US and UK study abroad programs, trained English as a Foreign Language (EFL) teachers, and produced EFL curriculum materials. 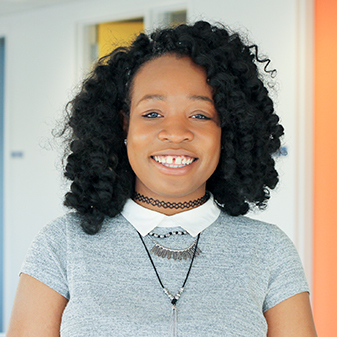 Geena is interested in youth development, psychology, and international development. A graduate of Furman University, she has a Bachelor of Arts in psychology and Asian studies.